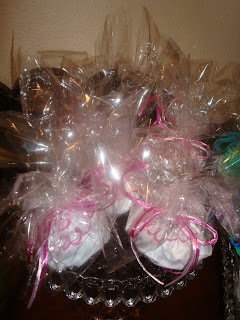 Here are precious pictures from a friends Pink Poodle in Paris party for her daughter's first birthday. I may be stating the obvious, but I have always found it very helpful to label serving pieces with post-it notes the day before a party. 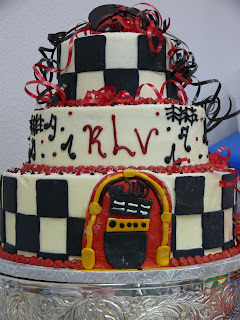 Even though I am usually very organized, the day of is always hectic. The post-it notes help me to not have to think about what food is going where when I am pressed for time. Better yet, if I have someone helping me out before a party, they can look at the post-its to see where the food goes without having to ask! 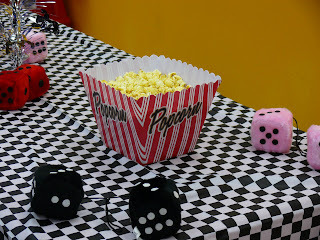 Leave it to my friend Julianna to turn an ordinary party venue into a posh kids party! 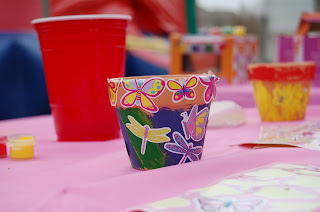 I know there are other moms out there like me who always want to throw creative birthday parties for our kids at home, but that can be so exhausting. The only problem is that public party spaces can be blah and let's be honest...quite ugly. 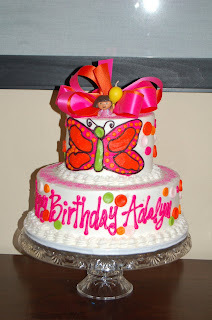 Julianna hosted sweet Rosemary's third birthday at an indoor bounce house facility and used the colors of the party room for inspiration. 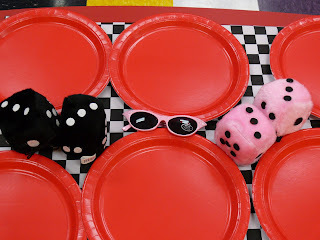 She took the pink, red, black and white colors of the room and created a party with a 50's theme. In true form, Julianna and Rosemary dressed for the occasion! 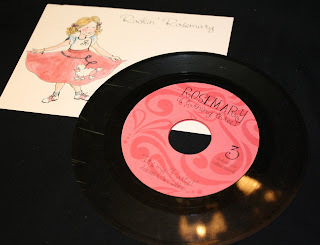 The precious record invitation was designed by the ever so talented Hayley Hardcastle. 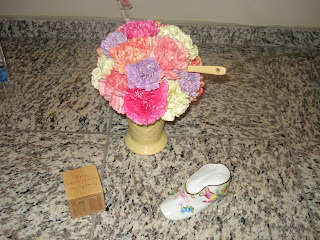 I had this favor box made by Atelier du Papier to give to guests as a thank you for celebrating a special weekend with us. We held a brunch to celebrate my son's Christening, my birthday, my parent's 40th wedding anniversary and Father's Day which all happened to be on the same weekend. 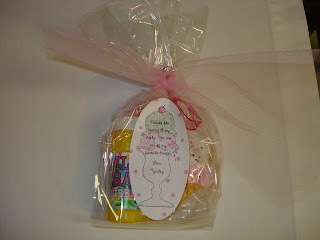 The inside of the box explained what each goody represented...the coffee was for Father's Day, the cookie was for the birthday, the champagne was for the wedding anniversary and the frame was for the Christening. 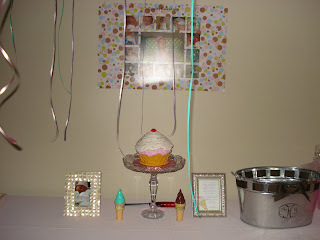 I think this centerpiece is super cute for a boy baby shower! 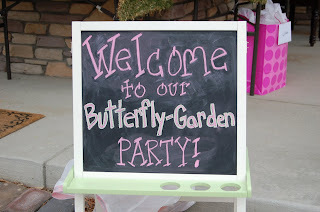 What a precious garden party my friend Alyson threw for her two little girls who turned 3 and 1. 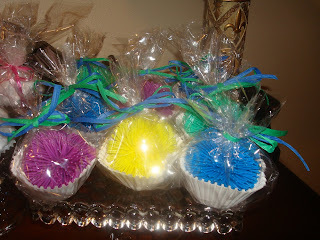 Alyson is an amazing party planner and always pays close attention to every detail. 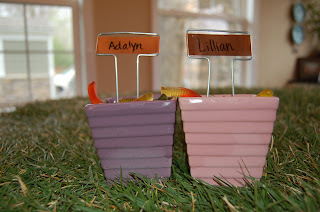 I love how she used garden tools (new of course!) to serve the food. 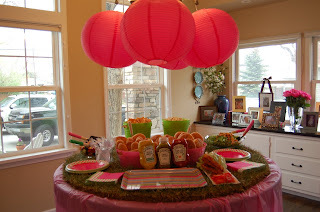 Speaking of the food table, the grass on the table looked so good. And I always love the addition of lanterns. 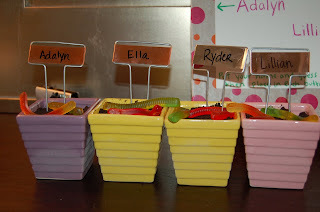 The "dirt" dessert looked so cute and the little ones enjoyed painting flower pots. 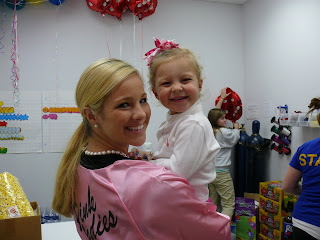 Parties like this make me want a little girl! 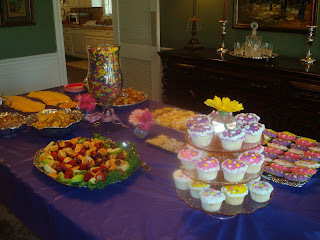 These are pictures from a baby shower my friends and I hosted for a very good friend. 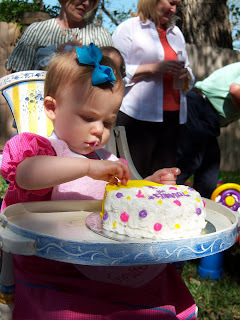 She was not finding out what she was having, so we could not go with pink or blue. Even though we went with the typical generic color scheme of yellow and green, we gave it a fun twist with black and white toile. I love the blue and silver color scheme! 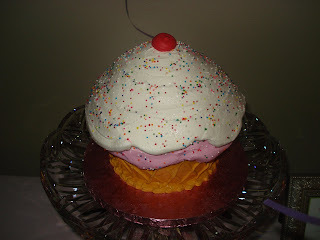 My son has a January birthday as well, so I just might have to "borrow" a few of her ideas one day. I love how she filled the entire living room with balloons. That really made a statement. Kids enjoyed blue punch and sandwiches shaped like snowflakes. 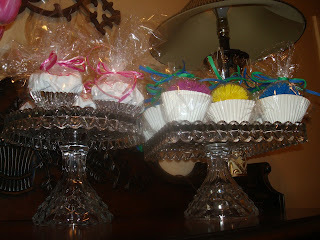 The children took home snow globes and there was a white candy buffet for all to enjoy. 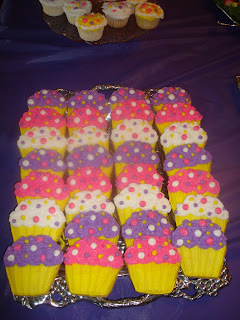 Two of my good friends decided to throw cupcake parties for their little girls when they turned one. 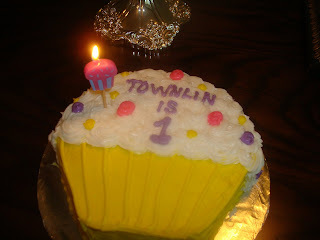 This first party was put on by Libby for her little girl Townlin based on the book Pinkalicious. 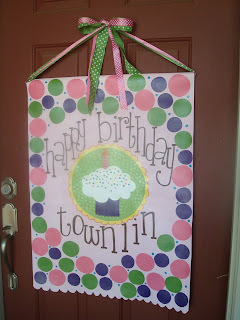 The cutest door sign which can be found here. Party guests signed the book Pinkalicious for the birthday girl. 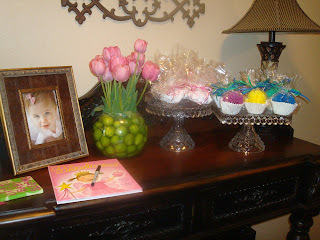 Kuddos to Courtney for throwing an adorable "Favorite Things" party which of course included cupcakes and ice cream!